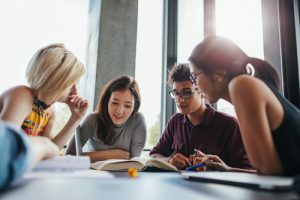 It would be fair to say that, when embarking on your first year of university or college, it is likely that you are filled with all of the enthusiasm and excitement of a young person beginning to make their own way in the world. 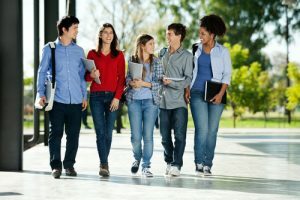 The prospect of living alone for the first time and of finally getting some independence, combined with the fact that you are studying a degree that will hopefully lead to your dream career is one that can be really motivating, and this motivation will certainly be enough to get you through the first few semesters. However, whether you want to admit it or not, the truth is that once you become accustomed to university life, with all of the good and the bad that comes along with it, there is the possibility that you might start to lose focus and your productivity levels will definitely take a dive because of it. It is important to keep productivity in a university environment at a high level, because compared to previous education experiences like high school, you will be required to do much more independent learning and solo study than you ever have before. If you aren’t productive during these times, your final grades and results will certainly suffer. If you are someone who is worried about losing your focus as your degree heads in to its crucial stages, then here are some great tips for how to stay productive in university. Nobody is expecting you to work hard and have your head in your books 24/7, but you can definitely be more productive by being wiser with the way you enjoy your downtime. If you like to unwind by doing things like watching television, then you can do that whilst also organising a schedule for the upcoming week. It doesn’t take much energy or brain power to pencil in study times and leisure times and everything in between, and you can prepare yourself for an easier week ahead all whilst enjoying some trashy TV! The life of university student can be pretty hectic and chaotic when it comes to maintain a regular day to day pattern, but something that you should always strive to be doing it getting a good amount of sleep and similar times every night. There will always be exceptions, at weekends when people are partying, for example, but from Monday to Friday you should be aiming to get at least seven hours sleep per night in order for your mind to be able to work at it’s top capacity. If you are feeling fresh every day, you will be more inspired to work hard. If you are the sort of person who does much better when part of a group instead of on your own, then seek out a study group to join on campus. Having other people around you who are also seeking to achieve good grades will make for a really motivating environment. If there doesn’t happen to be a study group currently organised for your classes, then take the initiative and found one for yourself. You won’t have any trouble recruiting members, because if there is one thing for certain in student life, it is that there will always be people who are experiencing the same studying issues that you are! Instead of keeping track of how much time you have left in a day to study, think instead about how much energy you feel like you have left. Your attitude towards your studying shouldn’t be to cram as much in as is physically possible, but rather to only cram in as much as your wakefulness and attention span will be able to handle. There is no point in getting through an hour of extra revision if you are so tired that it is going to leave your head as soon as you close the text book. Listen to your body and your mind and only do the hard work when you feel like you have enough energy to do so. Overworking to the point of mental exhaustion will not only set you back in the immediate, it will also set you back for days to come. It isn’t only your own mind that is responsible for aiding you in your studies, there is also a lot of impact that your surrounding environment can have. In order to be as productive as possible, you need to create or find a working environment that is as distraction free as possible. Of course, the campus library is the immediate thought for such a place, and if you have a good one, you should not underestimate just how effective the resource filled tranquillity can be. Alternatively, making the decision to have your dorm room desk be as technology free as possible is another good option. Keep your phone out distance and download a programme on to your laptop that restricts the use of recreational websites during your study periods. When organising a to-do list for the day, always make sure that you complete the hardest tasks first, because the beginning of the session is when you will feel most energetic and productive. As your enthusiasm starts to decrease, you will be pleased to find that the only tasks left will be the smaller, more simple ones. Despite your best intentions and even if you are highly organised, sometimes you can get behind with your work. One option is to decide on which assignment you could advantageously place with our writing service. This will help you spread your time over the other assignments, meaning you will not miss deadlines.